Design and preparation of development plans, promotion, restructuring, costing and business management while analyzing the business environment and the sustainability of the project. Analysis, assessment and management of business opportunities to market to meet the needs of business and individuals through subsidized programs and financial tools. Energy Inspectors is available for you, to issue energy certificate which shows the energy efficiency of the building, heating or air conditioning systems. as dictated by the relevant ministry. Design, installation and implementation of management systems for companies and stakeholders fully compliant with the requirements of international standards for quality, environment, food safety and workplace, etc. Preparation, review, submission and management of investment projects under the development law that aims at technological development, business competitiveness, regional cohesion. Full management of the program, which provides the subsidy energy saving interventions in buildings, the management of the file to carry out the energy audits, in cooperation with financial institutions of the country. 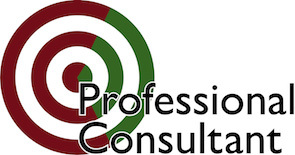 Company PROFESSIONAL CONSULTANT is your professional consultant to a number of your business concerns and movements, suggesting solutions arising from the current economic and business market. It operates in its present form since 2003. Our co-operators have big experience and knowledge for the total of activities of companies and constitute our proud and humble team with great results of its work. In a space enough functional and hospitable, we try with the knowledge, the force of will, the quality and our experience to appear the better advices in your company and your ideas. We are giving the 100% of our possibilities for more rapid, direct, scientifically equitable and qualitative service of our customers in all our cognitive fields of activation. We commence, we try and we improve ourselves daily through your own incentive. Exceptional professional, most reliable, accurate, fast. Thank you very much for this great collaboration and experience. Let's create together your sustainable future! Fill in your e-mail today in order to inform you for all the new calls.